Livingston, NJ (October 24, 2017) – The Citi Foundation recently announced that Jersey Cares has been awarded a grant from the 2017 Youth Workforce Fund, as part of its Pathways to Progress initiative to provide youth both in the U.S. and around the world with the training and access to jobs, including paid apprenticeships and internships. In partnership with America’s Promise Alliance, 15 nonprofit organizations across the U.S. will expand their programming to provide a range of employment opportunities in areas including environmental sustainability to robotics and culinary arts to coding. Collectively, the Youth Workforce Fund is expected to reach more than 5,000 youth across the country. Jersey Cares will receive a grant of $250,000 to address the disconnect between workforce development training and employment opportunities for Newark young adults, by positioning them to be the focal point of merging efforts between major companies and Newark’s nonprofit sector. Specifically, students will receive workforce development training from major companies; training which will then be applied to non-profits in Newark to help build capacity. Access to apprenticeships, internships and vocational training is essential to empowering youth and preparing them to compete in today’s economy. According to the Citi Foundation’s Global Youth Survey 2017: Economic Prospects & Expectations, 78% of young people surveyed believe that internships and apprenticeships are critical for career success; however, 60% say there aren’t enough of these opportunities. Jersey Cares is a dynamic nonprofit organization that meets community needs by making volunteering in New Jersey easy and meaningful. Jersey Cares works directly with local nonprofit organizations and schools, identifying their needs and managing volunteer projects that address them. Jersey Cares volunteers have provided hundreds of thousands of hours of service to communities, including mentoring troubled teens, reaching out to isolated seniors, restoring the environment and assisting children with their learning. 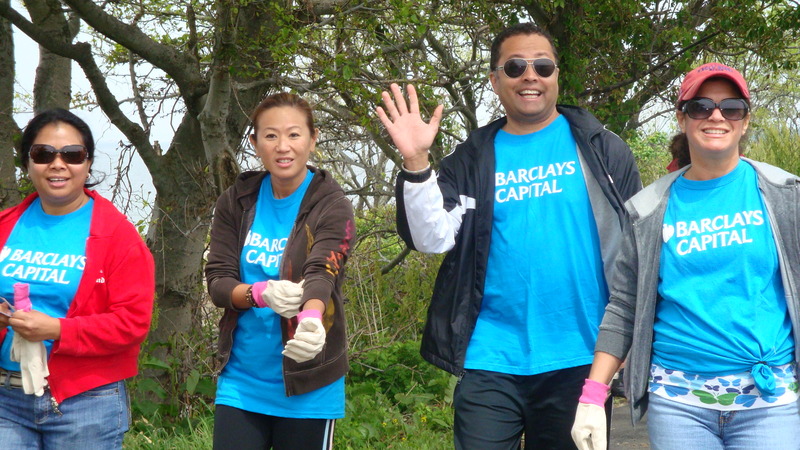 Jersey Cares offers meaningful volunteer opportunities that showcase the rewards of civic engagement and address some of our communities’ most serious needs. For more information, please visit www.jerseycares.org. America’s Promise Alliance leads an alliance of organizations, communities and individuals dedicated to making the promise of America real for every child. As its signature effort, the GradNation campaign mobilizes Americans to increase the on-time high school graduation rate to 90 percent by 2020 and prepare young people for postsecondary enrollment and the 21st century workforce. For more information, visit www.americaspromise.org. Bag pipes, names, fathers, daughters, planes. Towers, sons, mothers, pain. If you ask me what I recall during the attacks of 9/11, I’d respond this way. As if recalling a memory, I intend on forgetting, but keep recalling anyway – a nightmare. I grew up in a small town – West New York – where people bustle about their lives the same way people did on that Tuesday morning on September 11th, 2001. If you walk west towards the Hudson River, you could see the silent beauty that is the New York City skyline – all of it. Uptown cathedrals, the bright “New Yorker” sign, the Empire, West Side Highway, downtown skyscrapers towering above clouds. Living here, one gets used to having such magic so close – you forget to look as you ride along the boulevard. That Tuesday morning, that quiet, unseasonably warm morning, everyone noticed it. Everyone heard it. Everyone stopped and stared at a different sort of magic– the black smoke that billowed, the ferries stopped in their waved paths, the sirens from every direction, the fire and smoke reflected on the river—it was as if everyone felt everyone elses lives turn into dust. Some covered their mouths in horror, some looked away. Some jumped on the nearest City bound bus, maybe they knew someone. Maybe they wanted to help. As for me? I was 12 and late to my Science class as I walked into the 5th story corner classroom of P.S. #5. Incomprehension as the second plane impacts the South Tower. They did fall. And with their descent they took so much with them. We went home early that day and my sister and I walked the three blocks home in silence. My dad’s voice cracked when I called him at work. “I’m glad you two…. are home safe” Those are the things I remember. Not a whole lot compared to the lessons I learned in the aftermath of 9/11. Today, hope looks like 500 volunteers from across New Jersey coming together on 9/11 Day of Service for one purpose: to serve alongside one another to transform a Jersey City high school deeply impacted by the tragic events of the day and create meaningful kits to be donated to hurricane victims, local first responders, seniors, and refugees. Families and teams from schools, corporate groups, churches, and service organizations joined Jersey Cares at Dickinson High School on Saturday, September 9th. Half of the volunteers worked on revitalization projects including landscaping the school’s 9/11 memorial, brightening doors and railings with a fresh coat of paint, painting inspirational murals in school hallways to foster pride and school spirit, and creating decorative rock mosaics for the front entrance. Simultaneously, families and several student organizations created hygiene kits for hurricane victims, Senior Care Packages with comfort items and thoughtful notes for Jersey City seniors, indoor hopscotch mats and activity kits for refugee children, and First Responder Thank You Kits for firefighters in Jersey City. The morning of 9/11, I left Dickinson High School with a mission of delivering our First Responder Thank You Kits. I drove by several firehouses on the way to Engine 14 – all with their garage doors closed – eerily reminiscent of the stations downtown on that fateful day. As I was sitting at a red light at the intersection of Palisades and Congress, I noticed it. A bright red fire truck poking its head out, followed by a line of solemn fire fighters. They followed their captain and lined up facing the spot where our beloved towers would have stood. They stood there in silence and saluted. It was 9:59am – the time the South Tower fell. Palisade Avenue is typically a busy intersection. People walking, buses transporting commuters, but not at 9:59am. Traffic was paralyzed and people froze the same way as so many years ago. Suddenly it did not matter how long I had been driving around or how far I had traveled to get these kits donated because in that moment, I realized what hope looks like and how far we have come. There are memorials scattered along the water, and countless lives that have been lost, but hope is everywhere and we must never lose sight of that. Thank you to all of our incredible volunteers who came together to transform 9/11 into a day of empathy, unity, and service. Your time and hard work mean more than you could possibly imagine. Thank you for keeping hope alive. What’s a Flood Got to Do With It? Floods are one of the most common hazards in the United States, but not all floods are the same. In New Jersey, flash floods develop in just a few minutes. Flash floods are the rapid and extreme flow of water into normally dry areas or the rapid increase in water level in a stream or creek. Some of the most common flash flooding in this area is snowmelt flooding. This occurs when melting snow causes a major source of water to overflow quickly. The snowpack can hold water for a long period of time until the temperature rises above freezing and the snow melts. Once the snow melts, the water acts similarly to a large rainstorm and penetrates the soil, runs off into rivers or lakes, or both. This can cause massive overflowing as a snowpack can contain gallons of water. This is extremely dangerous when there have been large amounts of snowfall in a winter with little time above freezing temperatures. Unfortunately, New Jersey has experienced both in the last few months. Once you and your family are prepared for floods, there are ways to volunteer to get your community prepared as well. Volunteer to help elderly neighbors clean their yards of debris or volunteer at one of Jersey Cares Environmental Stewardship opportunities across the state. For more information on floods and how to protect your family, please visit www.ready.gov/floods and www.floodsafety.noaa.gov. As a response to all of the amazing volunteer work being done across New Jersey, the Jersey Cares City Spotlight will showcase exceptional civic engagement weekly in a specific New Jersey community. 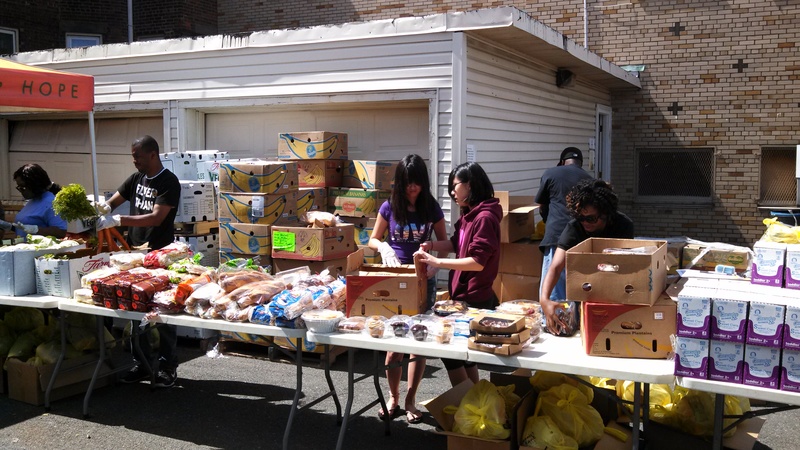 Jersey Cares volunteers sorting and distributing food at Mobile Meals in Paterson. Jersey Cares mobilizes volunteers in the City of Paterson four days every week in addition to corporate service and additional events. During the week, Monday-Thursday, there are opportunities for volunteers to give back on multiple hunger programs including collecting, sorting and packing food outdoors on Mobile Meals and organizing donations for distribution on Market Place projects. Last year, Jersey Cares distributed over 5,600 coats to 17 different agencies in the City of Paterson. Over 130 children received holiday gifts and two corporate volunteer groups provided more than 50 hours of service on team building activities. These volunteers prepared and served 20 hot meals, planted flowers and served nearly 100 kids on two separate days of service. If you’d like to give back in Paterson, there are opportunities throughout the month on the Volunteer Opportunity Calendar or you can join us on Saturday, May 3 for Jersey Cares Day to paint classrooms in a local community center. For more information, see www.jerseycaresday.org. 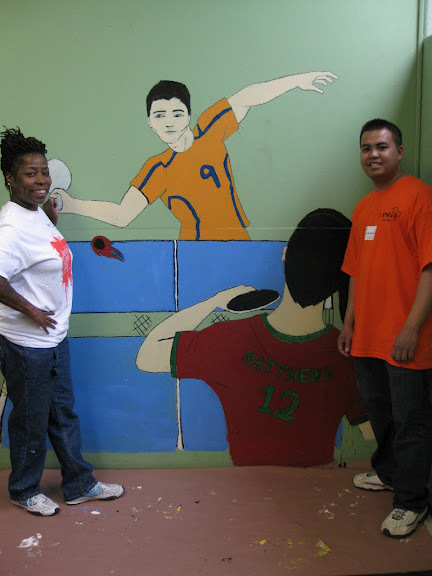 These volunteers pose with their finished mural during Jersey Cares Day. They really helped to brighten up the walls of a Newark recreation center. Thank you for your dedication! These talented volunteers constructed and stained a bench for an agency. They will truly appreciate being able to enjoy some time outside. Thank you!